Many people are feared dead following two bomb blast in the early hours today in Maiduguri, Borno State, our correspondent in Maiduguri reports. The first bomb exploded in front of the Bakkasi Internally Displaced People (IDP) Camp along Maiduguri-Damboa road killing scores of people killed. The second bomb exploded in front of the NNPC depot also along the same route. our correspondent reports that efforts to get to the scene of the second blast were thwarted as security men had cordoned off the area. Ambulances were seen moving out of the area. 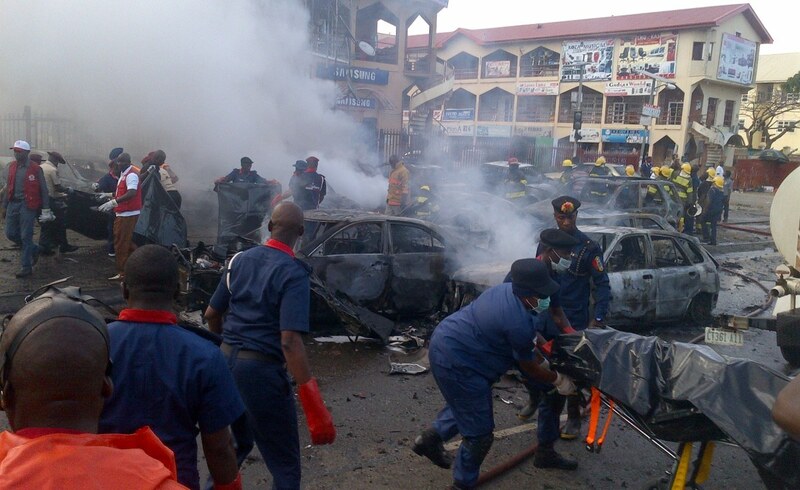 The blasts occurred around 7.24 am this morning.